DALLAS -- The Army reservist who killed five Dallas police officers last month showed symptoms of post-traumatic stress disorder after returning home from Afghanistan in 2014, but doctors concluded that he presented no serious risk to himself or others, according to newly released documents from the Veterans Health Administration. "I try to block those out, but it is kinda hard to forget," Johnson told his care provider, according to the documents. "Veteran states hearing all the noises, fights and police intervening caused him to have palpitations, 'My heart felt like someone was pinching it while it was beating fast,'" the records state. Johnson said he began shaking, felt short of breath and got chills following the Wal-Mart incident. Johnson was "not acutely at risk for harm to self or others," according to a medical record from a visit on Aug. 15, 2014. The patient was "not felt to be psychotic by presentation or by observation." The reservist who specialized in carpentry and masonry told health care providers he had lower back pain and was avoiding "crowds of people and when in the public, scanning the area for danger, noting all the exits, watching everyone's actions." "I feel like I can't trust all of these strangers around me," Johnson told his doctor, who noted that he had taken to drinking since his return to Dallas, consuming three to four shots of vodka up to three times a week. "It's hard for me to be around other people and I am so angry and irritable." Records from the Aug. 15 visit state that Johnson described his childhood as "stressful." His responses to a section of the form titled "Sexual/Physical/Emotional Abuse History" were redacted. Johnson was also advised to talk with a health care worker about erectile dysfunction. He also saw a psychiatrist and was further evaluated for his PTSD symptoms in September of that year, but the physician noted that his mood was "better." When providers called Johnson in October 2014, he requested to put off further assessment for PTSD, saying he was busy remodeling his mother's house, according to the records. He had previously told providers he planned to find a job in construction and that his long-term goal was to become a self-defense instructor. Johnson's mother, Delphene Johnson, has said her son sought medical care from the VA for a back injury but got no help after filling out forms and going to meetings. He "just finally gave up," she told TheBlaze, a news site founded by conservative talk show host Glenn Beck. Dallas VA spokesman Ozzie Garza did not immediately respond to questions regarding Johnson's treatment within the VA North Texas Health Care System, the second largest VA health care system in the country. 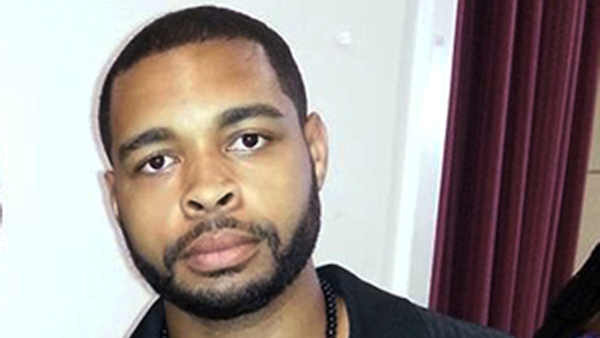 The mother of Gavin Long, the former Marine and Iraq war veteran who killed three law enforcement officers July 17 in Baton Rouge, Louisiana, told PBS' Tavis Smiley that her son had post-traumatic stress disorder and unsuccessfully sought the VA's help.